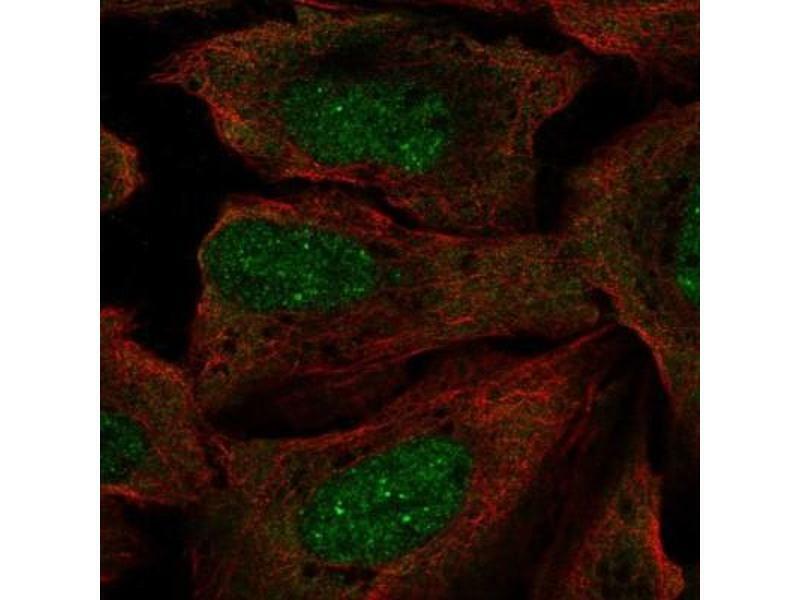 Immunocytochemistry/Immunofluorescence: RP2 Antibody - Staining of human cell line U-2 OS shows localization to nucleoplasm, nuclear bodies & plasma membrane. 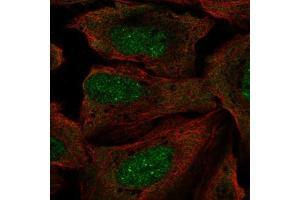 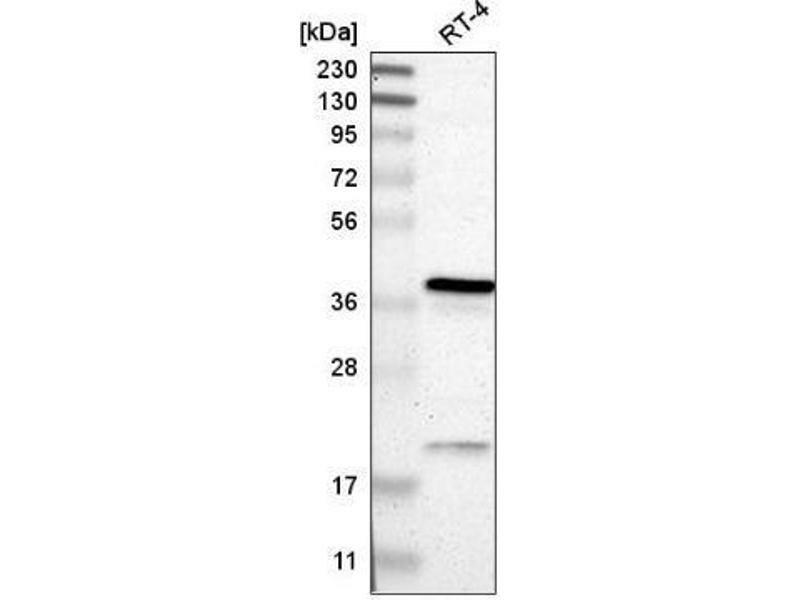 Western Blot: RP2 Antibody - Western blot analysis in human cell line RT-4. 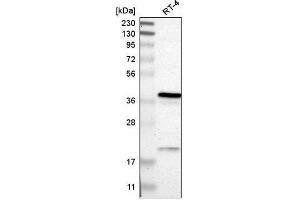 Indications d'application Western Blot 1:100 - 1:250, Immunocytochemistry/Immunofluorescence 1-4 μg/mLImmunocytochemistry/Immunofluorescence Fixation Permeabilization: Use PFA/Triton X-100.